Add some extra antioxidants and fibre to your favourite cookie and brownie recipes by swapping half the chocolate chips for cocoa nibs. They add a rich cocoa flavour, great health benefits, and a nut-like crunch. Try it in my favourite gooey brownie recipe below. Moderation is key! In a small sauce pan over medium heat, melt butter, sugar, cocoa, chocolate and salt. Once combined, remove from heat and add vanilla. Let cool 2 minutes. In a separate bowl, beat the eggs. Mix in chocolate mixture. Add flour, cocoa nibs and chocolate chips until combined. Pour into baking dish and even out with a spatula. Bake 25 – 35 mins. 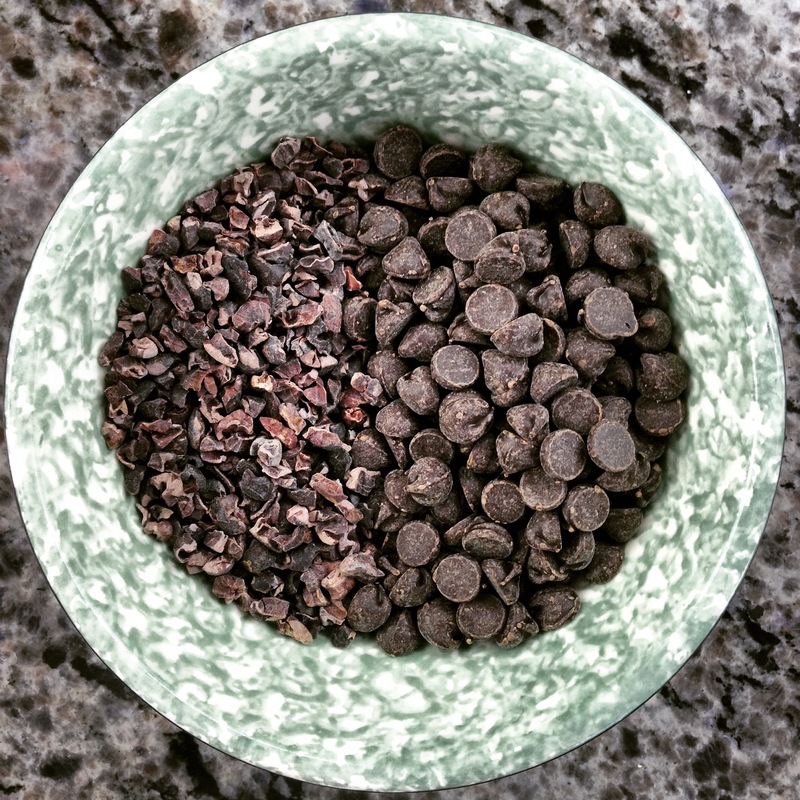 Antioxidant and fibre-rich cocoa nibs and dark chocolate chips. Balance in baking.